If you are considering filing bankruptcy in Jacksonville, Florida, then you are most likely already overwhelmed. The more you know about bankruptcy before filing in Jacksonville, Florida, the less stressful the process will be. A Jacksonville Bankruptcy Lawyer can help you prepare by answering all of your questions. According to a Jacksonville Bankruptcy Lawyer, here are some of the key things most clients want to know before filing bankruptcy in Jacksonville. 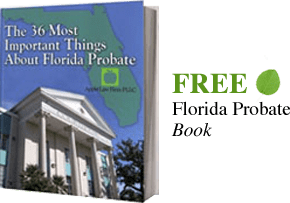 Unless you have a Jacksonville Foreclosure Sale Date and/or your vehicle is in danger of being repossessed, then you most likely have enough time to thoroughly assess your financial decision before deciding to declare bankruptcy. Just because you are married in Jacksonville, does not mean you and your spouse both have to file bankruptcy. If you decide to file bankruptcy without your spouse, then your spouse's credit should not be affected by your bankruptcy. However, your spouse's income will still determine what bankruptcy chapter you can file. Filing bankruptcy in Jacksonville, Florida is not free. The United States Bankruptcy Court for the Middle District of Florida Jacksonville Division requires you to pay a filing fee. If you choose to hire a Jacksonville Bankruptcy Attorney to help you file bankruptcy, then your attorney will require an attorney fee on top of the filing fee. Jacksonville Bankruptcy Attorney fees can range anywhere from $1,500 to over $5,000 depending on what bankruptcy chapter you will be filing. Jacksonville Bankruptcy filing fees are usually just over $300. If you file a Chapter 7 Bankruptcy in Jacksonville, you will most likely only have to attend one hearing. When filing a Chapter 13 Bankruptcy, you will have to attend at least one hearing, but additional hearings might be necessary depending on the circumstances of your case. There are two mandatory credit counseling courses that you must complete when filing a Jacksonville Bankruptcy. The first course is a pre-filing credit counseling course that must be taken before you can file bankruptcy. The second course is a post-filing bankruptcy course and must be taken after you file your bankruptcy, but before you receive your bankruptcy discharge. Luckily, both of these credit counseling courses can be completed from the comfort of your home as an online class. You cannot simply wipe out, or discharge, every single type of debt by simply filing bankruptcy in Jacksonville, Florida. The most frequent types of debts that can be discharged through a Jacksonville Bankruptcy are debts from medical bills, credit cards, car loans and mortgages. Unfortunately, child support, alimony, IRS debt, criminal fines, and the like are not affected by bankruptcy. Your credit profile will show that you filed bankruptcy for several years and can affect your ability to obtain financing for a home, car, etc. However, keep in mind that the degree in which the bankruptcy hinders your ability to get new financing largely depends on how your credit profile looks before filing bankruptcy and the actions you take to rebuild your credit profile after receiving your bankruptcy discharge. Only time will allow you to completely recover from filing bankruptcy in Jacksonville. But do not be shocked when it is not long after your discharge has been granted that you receive your first credit card application in the mail. However, you will most likely have to pay an extremely high-interest rate until your credit recovers. Do not be shy about shopping around to find the best Jacksonville Bankruptcy Attorney that understands your unique situation. Not every Jacksonville Bankruptcy Attorney can equally help you with your particular set of circumstances. Ask your Jacksonville Bankruptcy Attorney all questions you have. Do not assume your Jacksonville Bankruptcy Attorney will tell you absolutely everything you will want to know. Your Jacksonville Bankruptcy Attorney may presume you already know something that you do not. Not everyone is going to find out about your bankruptcy in Jacksonville, Florida. You most likely will not lose everything that you own by filing a Jacksonville Bankruptcy. There are Florida Bankruptcy Exemptions that protect some or all of your property. Every debt you owe must be listed on your Jacksonville Bankruptcy Petition regardless of your intentions to surrender or reaffirm the debt. Every piece of real and personal property you own must be listed on your Jacksonville Bankruptcy Petition. Your last six months of income together with your family size determines whether you are eligible to file a Chapter 7 Bankruptcy, a strict liquidation of your debts, or if you can only file a Chapter 13 Bankruptcy, a reorganization of your debts. If you are thinking about filing bankruptcy in Jacksonville, Florida, please contact an experienced Jacksonville Bankruptcy Attorney tpday. A Jacksonville Bankruptcy Attorney at the Law Office of David M Goldman, PLLC can not only help you determine which bankruptcy you are eligible for, but they can help you be prepared by answering all of your questions.